Breast Density Matters UK is a non-profit, voluntary breast cancer patient advocacy. The co-founder, Cheryl Cruwys, right, was diagnosed with an invasive early stage breast cancer tumour last year in France. Following a negative mammogram, and presenting no symptoms, the 8mm tumour was detected using a supplemental ultrasound. 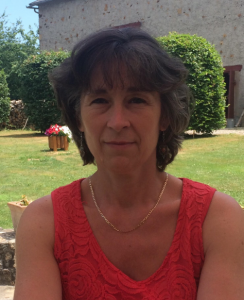 The outcome resulted in minimal intervention – a lumpectomy and radiotherapy. No mastectomy, nor reconstruction, no chemotherapy, nor metastatic. The tumour would not have been detected had she lived in the UK. The Mission: To educate about the well established fact that breast density is an independent risk factor for developing breast cancer, a more significant risk factor than family history; promoting early detection by reducing incidences of more advanced stage cancer diagnoses and saving lives. Breast Density Matters UK believe that women NEED to be aware of the composition of their breast tissue so they are able to make an informed decision on their breast health. Breast Density Matters UK also believe that doctors and other health experts NEED to be aware of dense breasts and the related health risks. 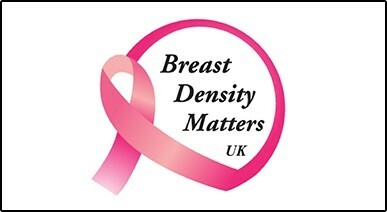 Breast Density Matters UK, one year on, is now supported by international density advocates, breast screening imaging professionals from around the world as well as patient empowerment organisations. Breast Density Matters UK meet with MPs at Westminster; they hope to start work on a breast density E-learning project for GPs/health professionals/patients and in July 2017 will attend a meeting with the Chief Executive and Advocacy team of Union for International Cancer Control in Geneva to collaborate and discuss both the density campaign and the WHO recently adopted Cancer Resolution. If you are interested in our breast density efforts and would to know more please contact me.